Jamie Brown is a car guy who is not afraid of a challenge. 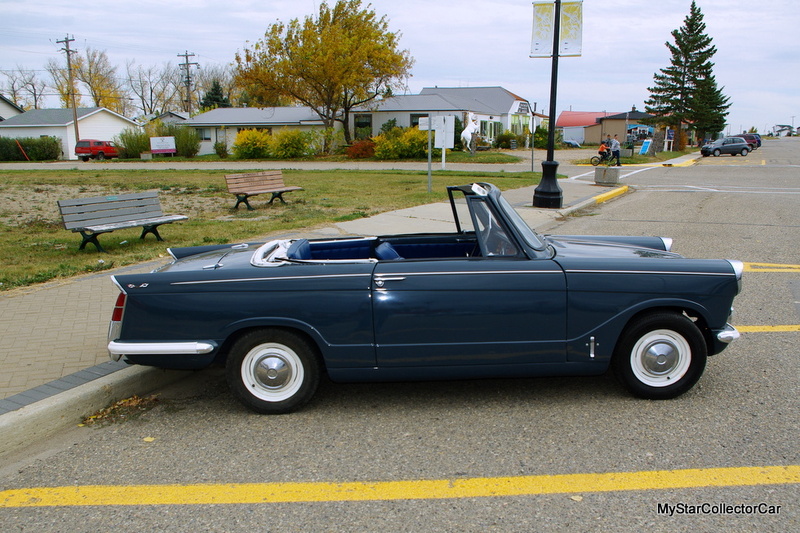 His 1964 Triumph Herald 1200 convertible is an excellent example of his ability to meet a challenge because the British car’s restoration was a major project. Jamie and his wife spotted the car in a farmer’s field while they were driving on a highway during a long road trip. 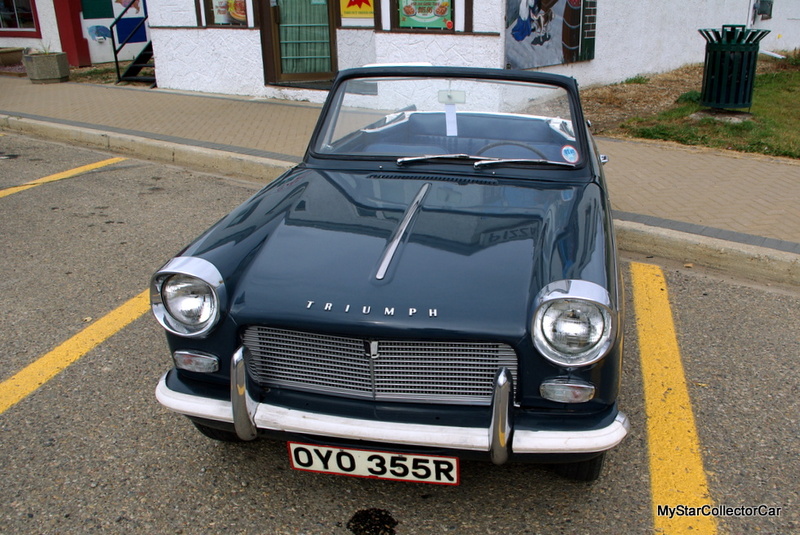 The Triumph was in a complete state of disrepair and required a massive amount of work to resurrect it. Jamie’s wife wanted to take a closer look at the car, so they turned around and drove back to the property. The previous owner had passed away and his estate lawyer told Jamie he wanted the Triumph Herald off the property before he sent the car to the scrapyard. 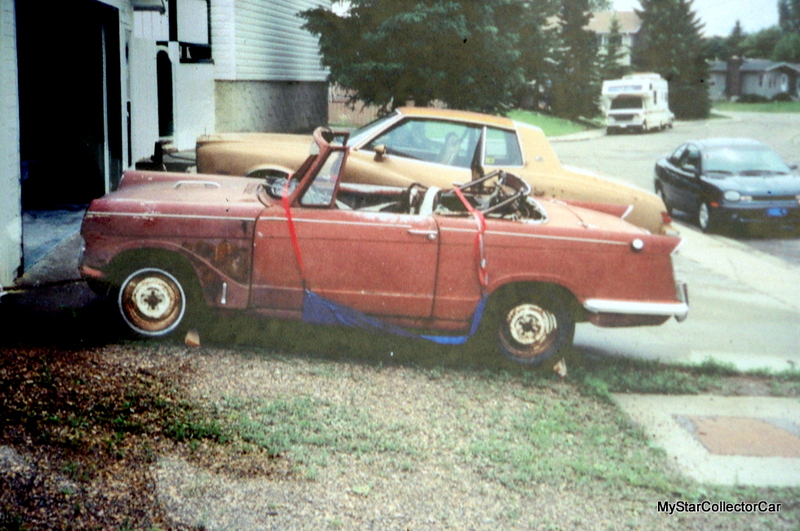 The car likely required a priest for its last rites more than it required an auto body or automotive technician to bring it back to life. Jamie was none of the above – but he was more than willing to tackle the Triumph and bring it back to its original state. The restoration took about 12 years as Jamie learned how to handle the challenges ahead of him. 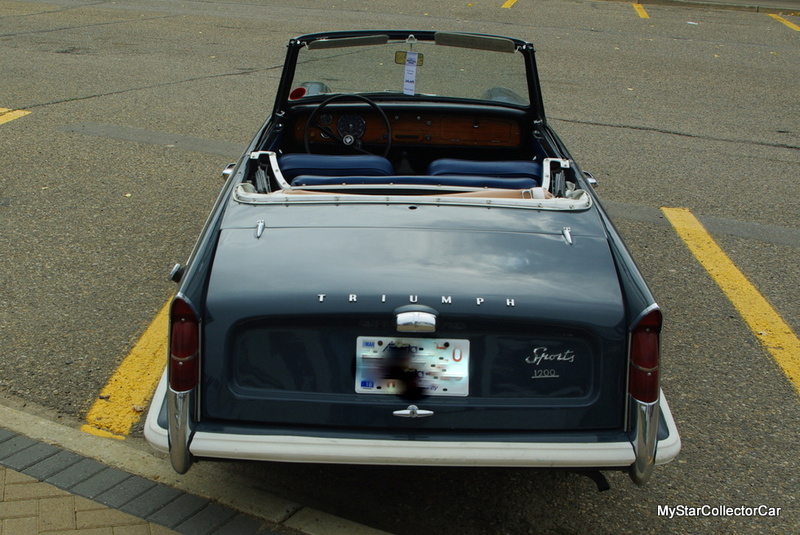 The Triumph had been repainted at some time in its past and now it sported a blend of rust and red on its finish. 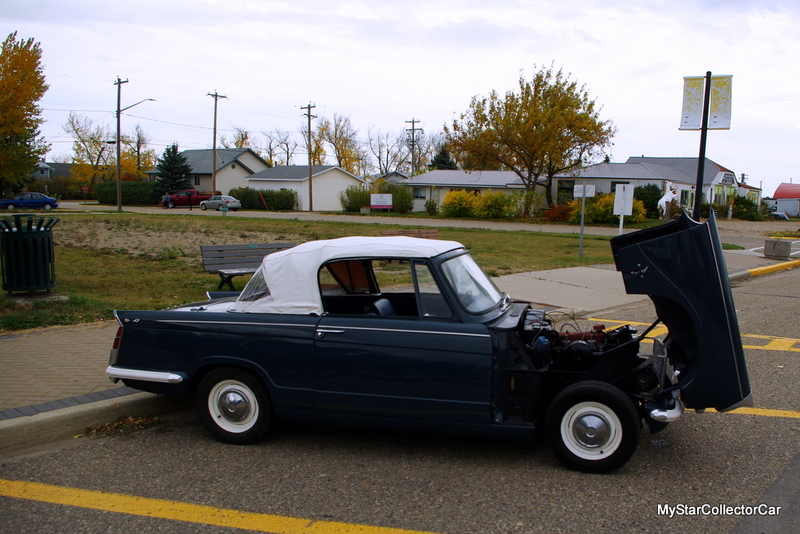 Jamie learned his Triumph came in three sections and he was able to restore the car in three parts, including its one-piece hood and front fenders. 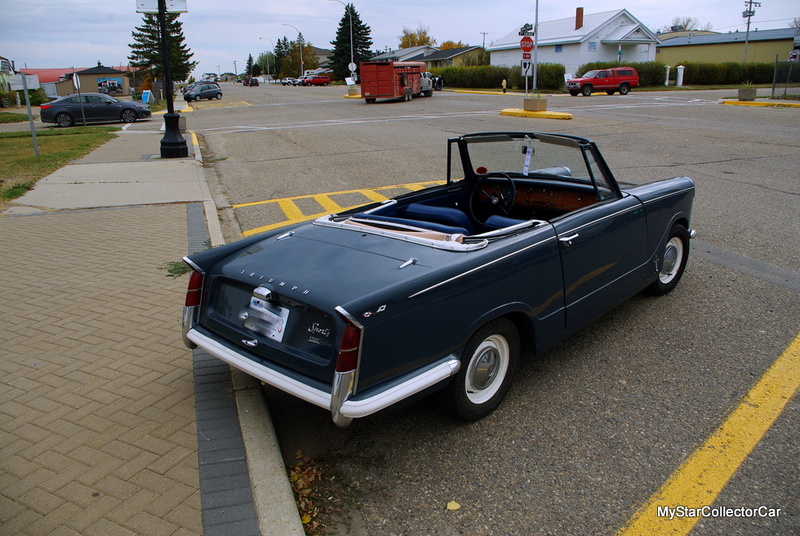 The main goal was to restore the Herald back to its original factory look, including the paint scheme. 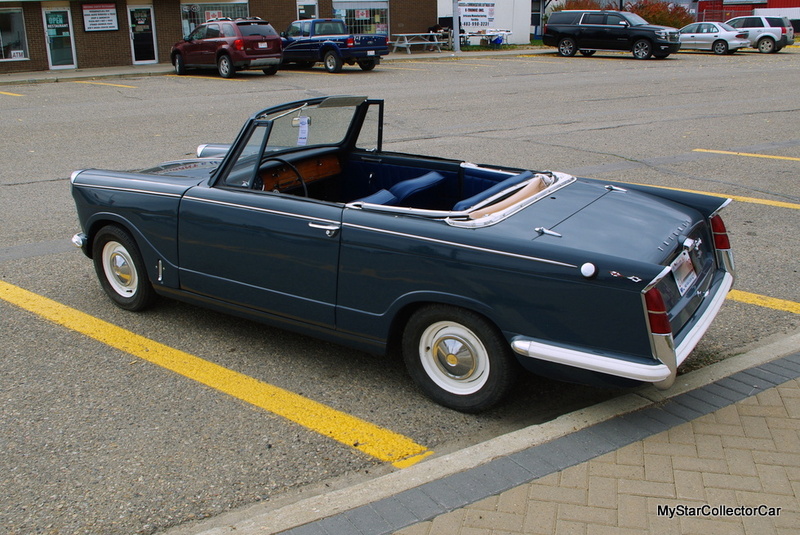 The Triumph now sports its original color and the result is much different than the rust/red combination that was on the car when Jamie discovered it. 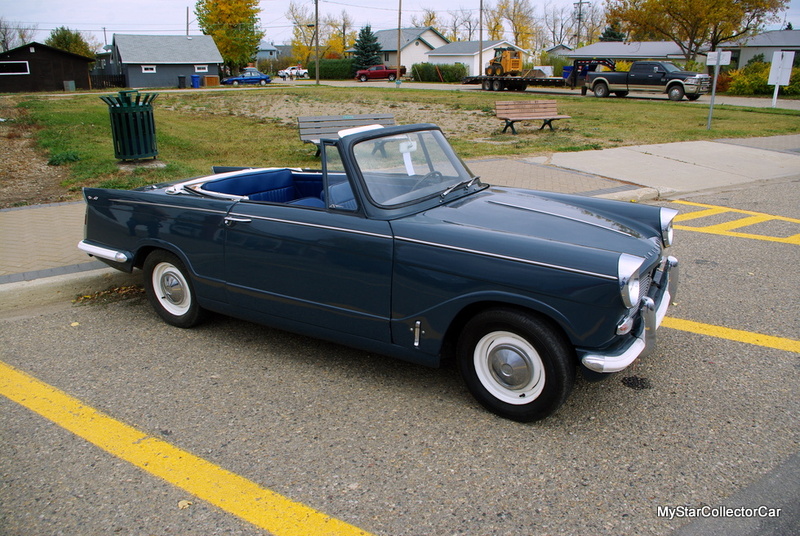 The Triumph Herald convertible is not a common car and required a major search by Jamie to find the right parts for his project. The search included contacts in Britain who supplied the right rear lights for the car. Jaimie wanted them to look “as is” so he didn’t buff them up to a high level–he left them with original wear. 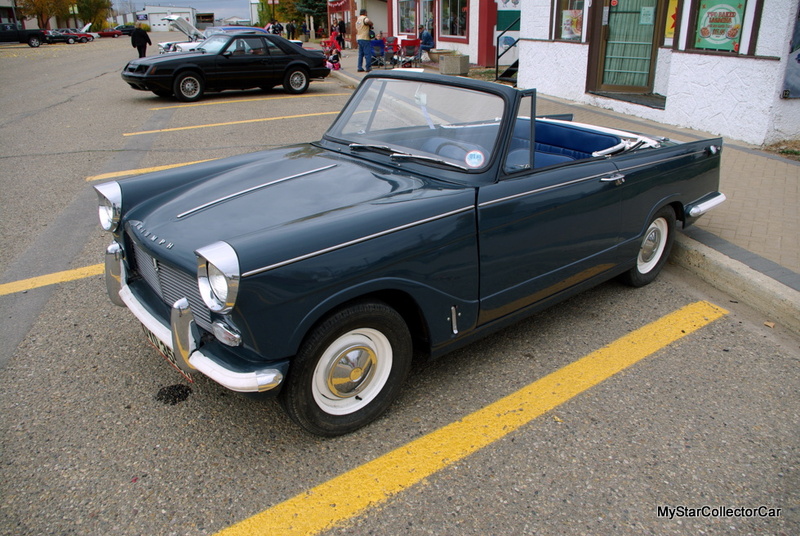 The Herald also needed a new convertible top and Jamie was able to find a suitable replacement top for the car during his search. 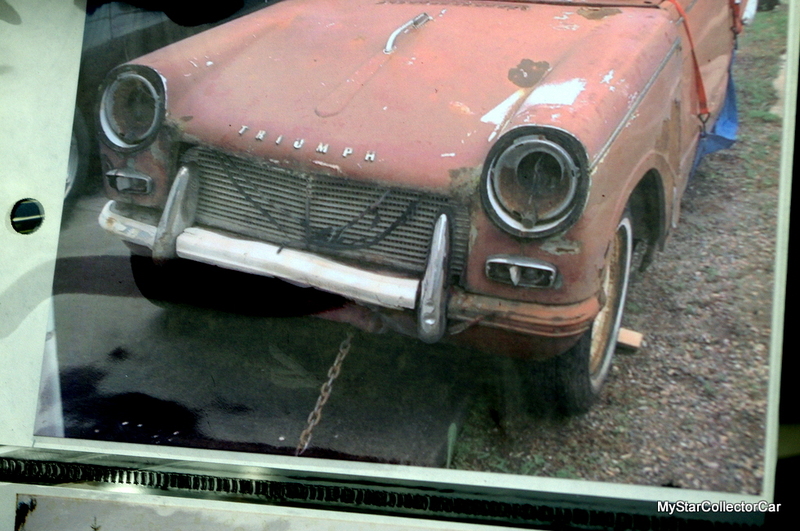 Jamie also enlisted the advice of other Triumph Herald owners to guide him through the restoration process. 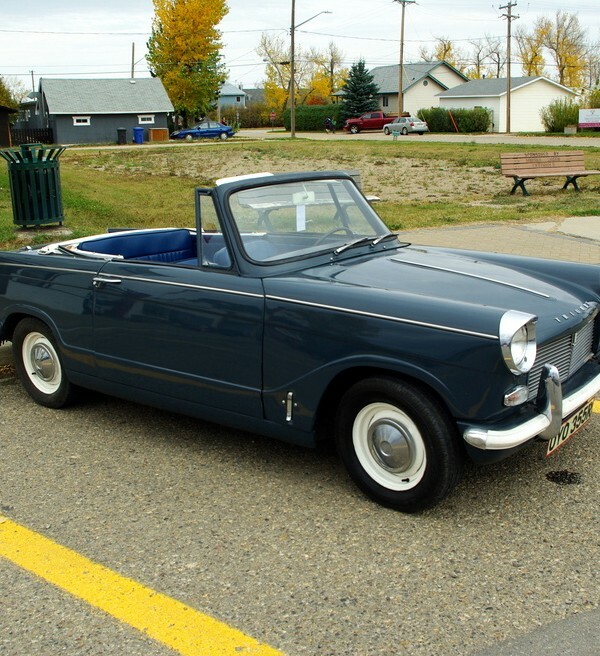 The Triumph Herald still sports its original power train that includes a 1200 cc four-cylinder engine and manual four-on-the-floor speed transmission. The Herald also has its original coil suspension and steering rack. 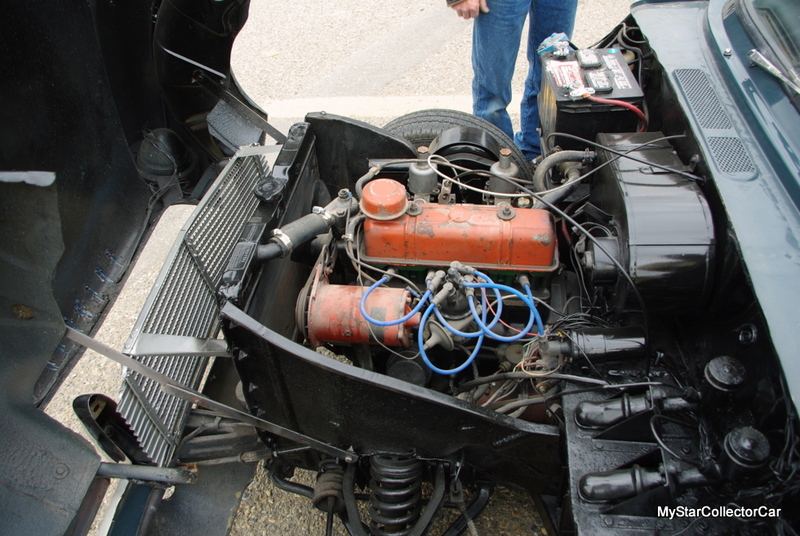 It likely comes as no surprise that Jamie’s project took a long time because of the Herald’s state of disrepair when Jamie decided to save the car. Now Jamie seeks any opportunity to get behind the wheel of the Herald to hit the open road. 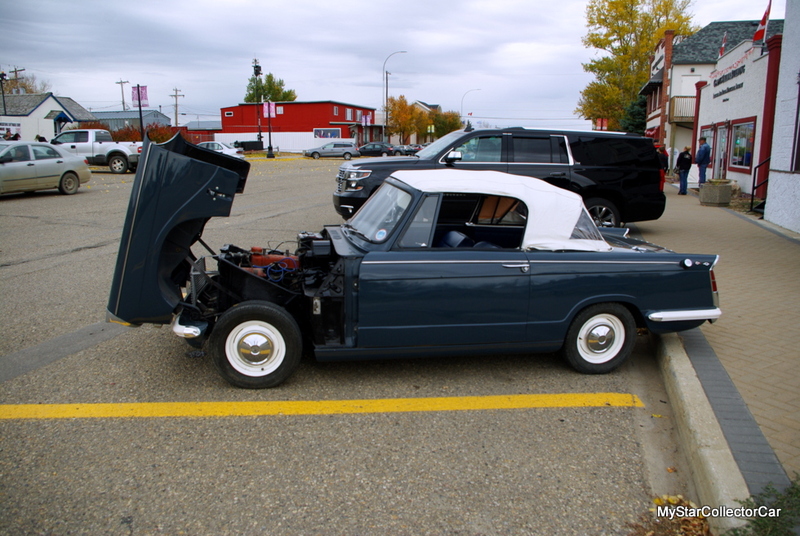 Jamie told MyStarCollectorCar “she’s (the Triumph Herald) is working hard at 60 mph (100 km/h)”, so he does not push the Herald too hard on the highway. Jamie has gone much faster in the car, but the wind noise is “pretty rough” in his opinion. 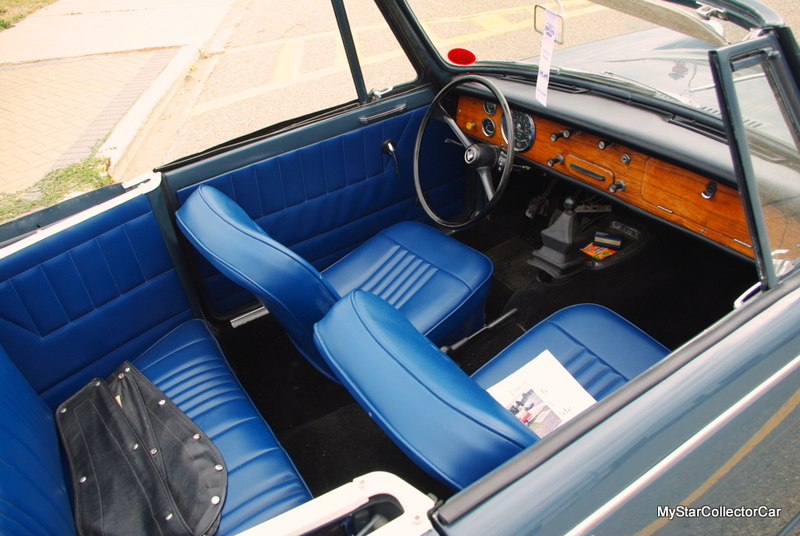 He prefers a more laid-back approach in his Triumph Herald because Jamie built the car for enjoyment-and he loves the way things worked out for him.